The owner of Reed's Custom Tailors, Sali, has been repairing and restoring fine garments since he learned to make a buttonhole at age 13. Since then he has spent his life perfecting his craft. He loves making sure that his clients leave with the comfort, fit and look they want from their clothes. 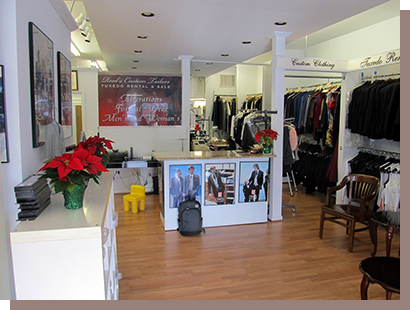 We can service all your Tuxedo Rental and alteration needs in the metro area, including Washington DC, Falls Church VA, Arlington VA, Alexandria VA and Fairfax, VA.
Prom Season is upon us. 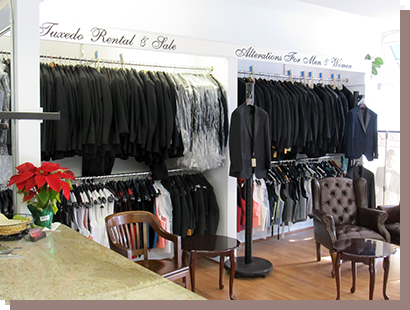 Check out our Special on tuxedo rentals. There is an element of style that’s timeless for the man who portrays confidence and pride in his appearance, so we help ease the fear of those three words, “Black Tie Affair.” Whether you need a tuxedo for a wedding, prom, or a special night on the town, choosing the right look can sometimes be overwhelming. At Reed’s Custom Tailors, we follow simple guides to help you understand tuxedos. First, we must consider the coat. Full dress tails, double breasted, single breasted, or if you prefer more fashionable styles like the multiple buttons and longer lengths. Next, we look closely at lapels. Many designs offer fancy lapel treatments such as insets and frames. Lastly, we choose the shirts, vest, and shoes to complete the look. 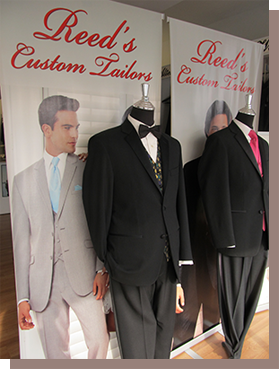 At Reed’s, we don’t just rent tuxedos, we custom design and sell tuxedos and everything you will need for formal wear. We also design and sell wedding gowns and formal dresses for any occasion. If there is a particular style of dress you like we can make it for you. Come in and ask about our rental specials today. No other custom tailor can MEASURE UP!!! Reed's makes ladies fashions of all types and they are well known as a supplier of custom designed bride's maid gowns. If you have a fur coat that needs to be altered or repaired, Reed's is the place to take it. The also alter and repair leather goods. Reed's never sends your garment off premises and never allows anyone but an expert tailor to touch your garment. 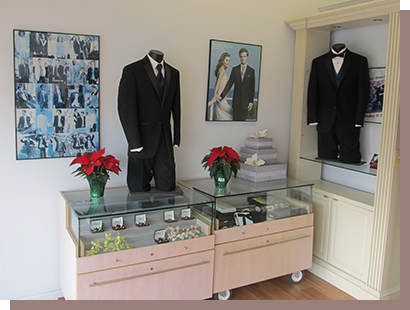 We fit you into the actual tux that you will be renting, and it is fitted for you by an expert tailor. We guarantee it to fit, or it is Free.